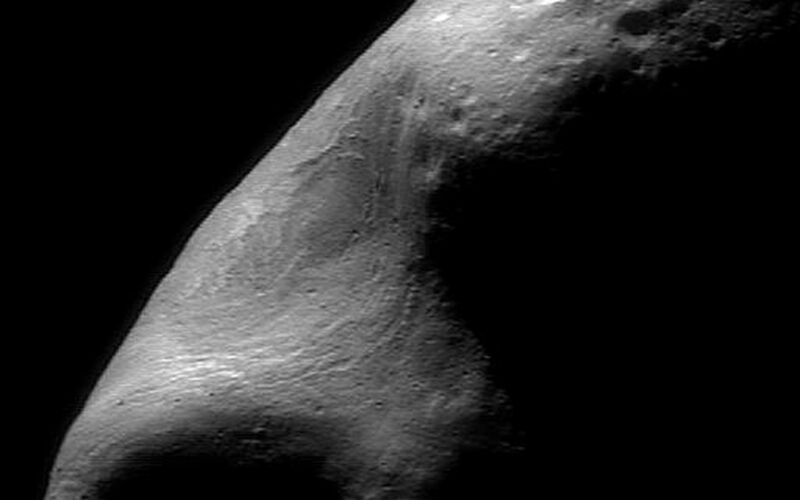 This picture was taken from NEAR on February 15, 2000, while the spacecraft was passing directly over the large gouge that creates Eros's characteristic peanut shape. It is a mosaic of individual images showing features as small as 120 feet (35 meters) across. 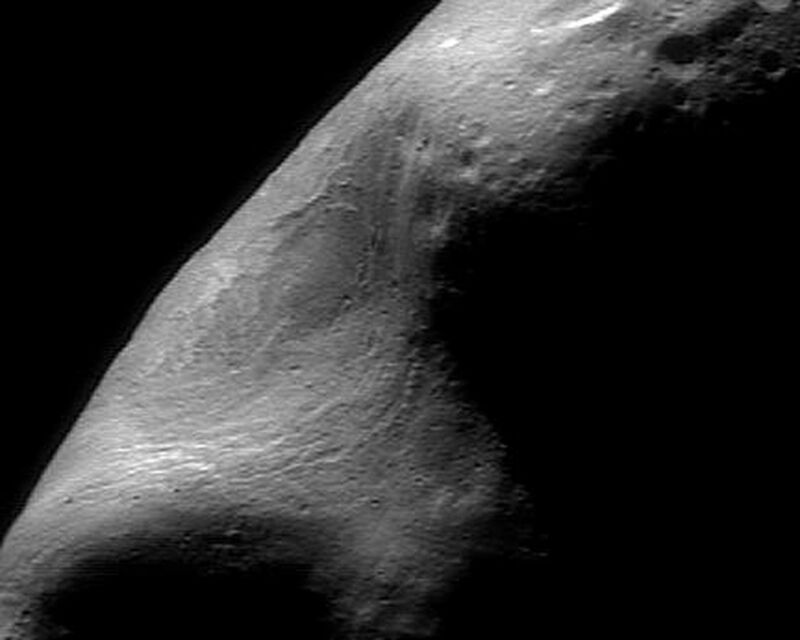 Although most of the asteroid is in shadow, we are able to see inside the gouge. Many narrow parallel troughs closely follow the shape of the gouge. 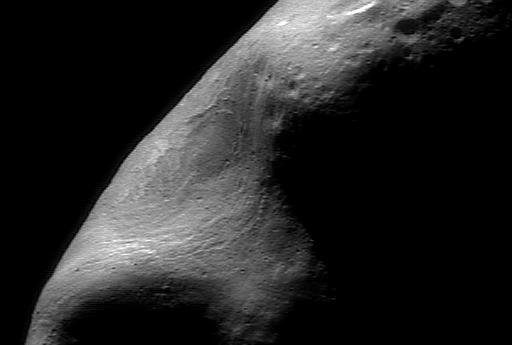 Although they appear curvilinear from this view, they are most likely oriented parallel to the length of the asteroid. The strong lighting contrast along the terminator (the line separating day from night on Eros) makes it easy to see that most of the surface is saturated with impact craters. Inside the gouge, however, only smaller craters are present, indicating that the area within the gouge is younger than the surface along the terminator. This implies that the event that caused the gouge must have happened more recently than the formation of the rest of the surface of Eros.